Morgan Godfery. Far too young to be this clever. Some politicians seem to think that “data” exists in a privileged realm somewhere above politics and power relations. Data, according to Phil Twyford and others, enjoys the authority of objectivity. It cannot stigmatise a particular racial or ethnic group. If we accept that premise, and let’s do so briefly, then Labour’s analysis of Auckland property sales data, which revealed almost 40 per cent of buyers had “Chinese surnames”, is not racist. In other words, it’s just a fact. Facts are neutral, or at least that’s the argument Labour is using to insulate itself against accusations of racism. Yet it’s a self-serving argument because the accusations of racism are not directed against the number itself – the 40 per cent figure is not, in and of itself, racist – the accusations are aimed at the method and the narrative. 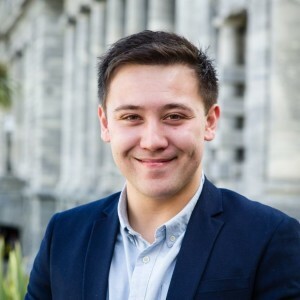 Keith Ng and others have criticised the method used, while Labour claims it did the best it could with incomplete information. That’s probably true, but when incomplete information is used, the surface is often inscribed with the analyst’s view of the world and their beliefs about what’s plausible. Thus ethnicity is used to explain how non-resident buyers are pushing up house prices, even though ethnicity “[doesn’t] tell us anything useful about residency”. The point is that data analysis isn’t neutral, the narratives we craft from it even less so. In the early months of the #BlackLivesMatter movement the New York Times seemingly proved that racism is widespread among US police while Fox News used its data to seemingly prove the opposite. Each claim is framed in the discourse of objectivity and reliability, even though both sides seem to be arguing from incomplete information. This is where Labour’s claims collapse as well. They are investing their unreliable findings with dangerous political meanings. When ethnic Chinese buyers are blamed for pushing up house prices, an entire ethnic group is stigmatised. Rather than frame the narrative around overseas “capital”, Labour has framed its claims around people with “Chinese surnames”. That’s an odd approach for a party founded on a critique of capitalism, not a strategy of racism. Yet it’s probably an effective narrative precisely because it has a long and dubious history. Like the Bell Curve which, to quote Ellen Willis, served as a “statistical outlet for the sentiment that blacks are dumb”, Labour’s narrative offers a statistical outlet for the sentiment that Chinese immigration is a Bad Thing. Sure, there’s nothing as explicit as “yellow peril”, but Labour is using one ethnic group to separate “us” – as in residents, or those of us who are entitled to home ownership – and “them” – the non-residents, or those who must be forced to the back of the queue. I can only imagine how this must feel for Chinese New Zealanders. Labour is making their belonging conditional. The irony here is that almost a year ago a handful of Labour MPs, Twyford included, were complaining about how their party lost the election because it was focused on identity. These same MPs are now pandering to issues of identity. Singling out ethnic Chinese, in a blatant attempt to court what David Shearer once called the white blokes’ vote, is the worst form of identity politics.